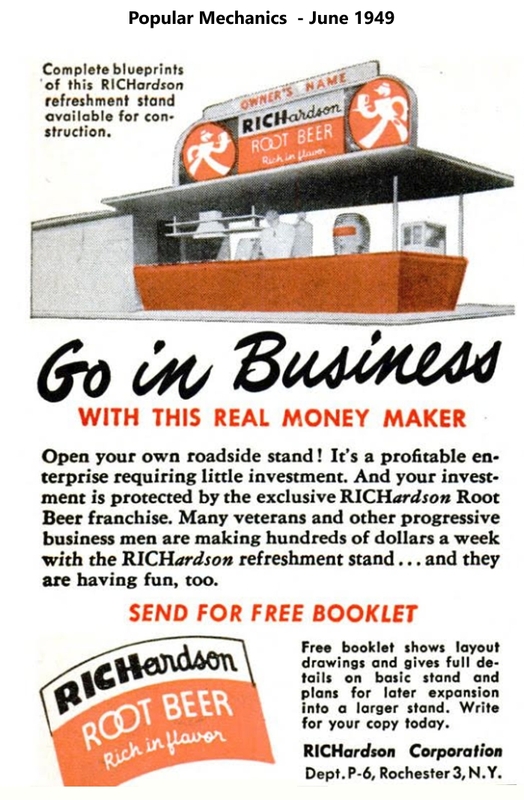 On May 18 1949, Jean and John Martello opened the Richardson Root Beer franchise "Martello's Drive-Inn" at 1000 N. Main. They sold out in 1952 to Gertrude A. Dorner Richeson (1914-2004), and her husband Bob. 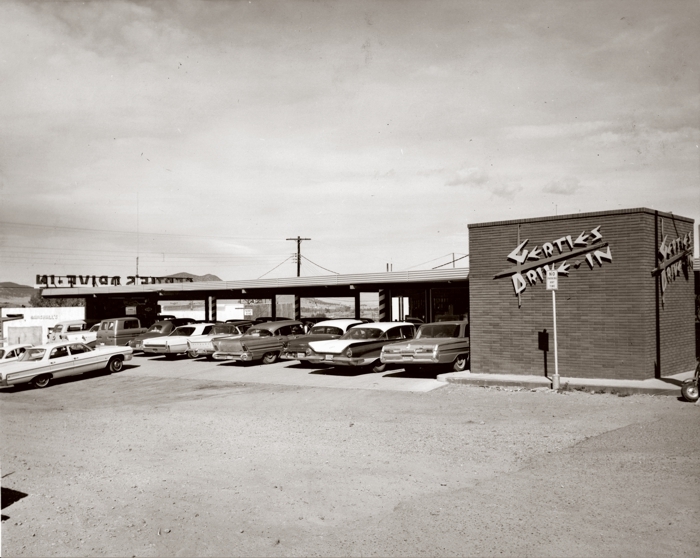 Gertie's Drive-In became a mainstay in Helena for decades, and Gertie became known as "The Hamburger Queen". 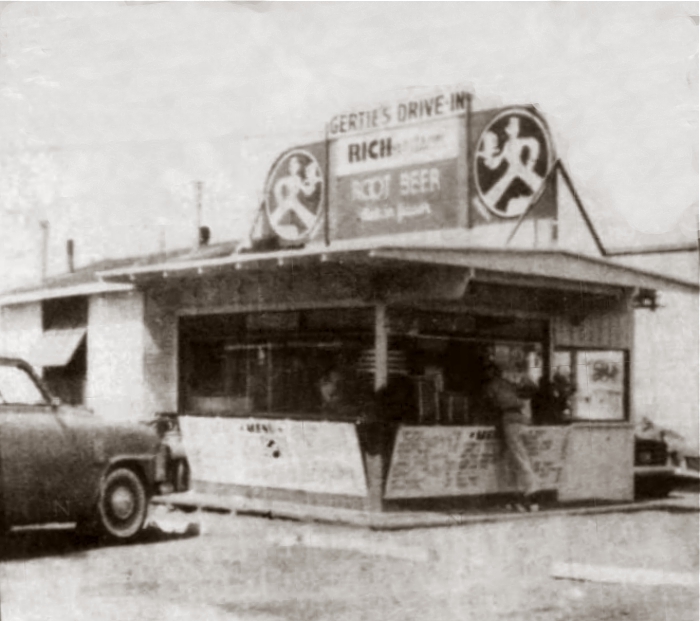 Richeson sold the business, and the "Gertie's" name, in 1961 to Ralph A. Hahn. 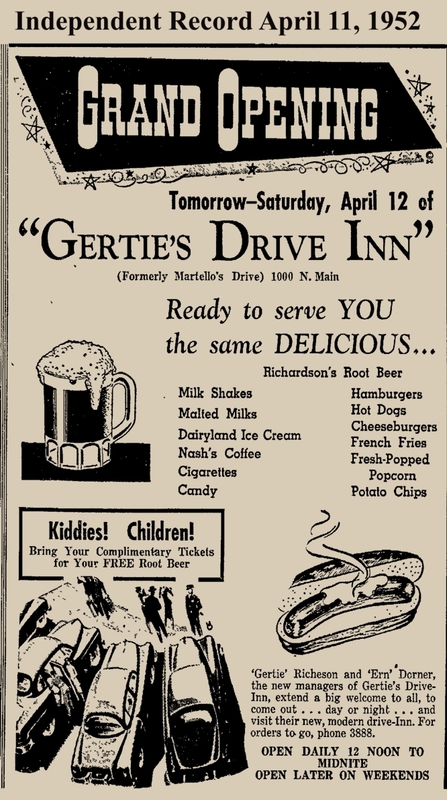 Ad for Martello's grand opening, May 18 1949. Martello's Drive-Inn sign on N. Main, 1951. 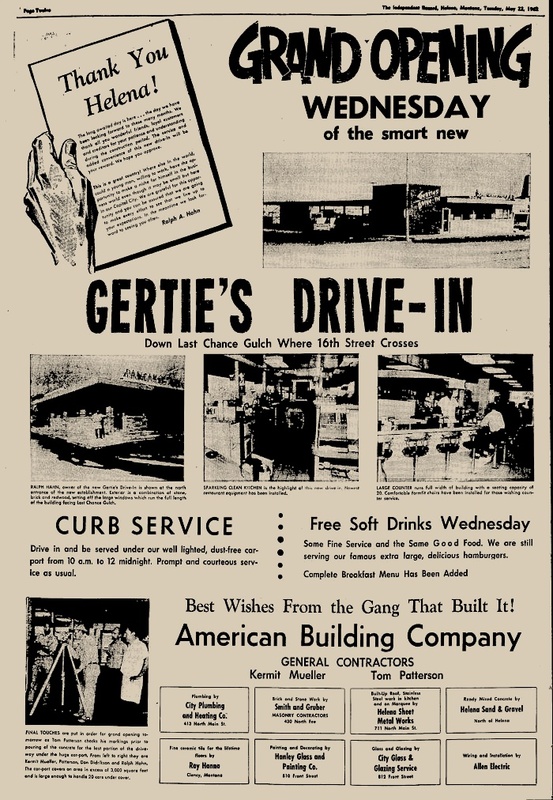 Gertie's seasonal closing ad, 1952. 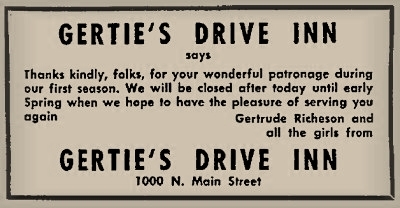 Matchbook from Gertie's Drive-in, 1960s, with the legend "Recommended by Ralph A. Hahn". 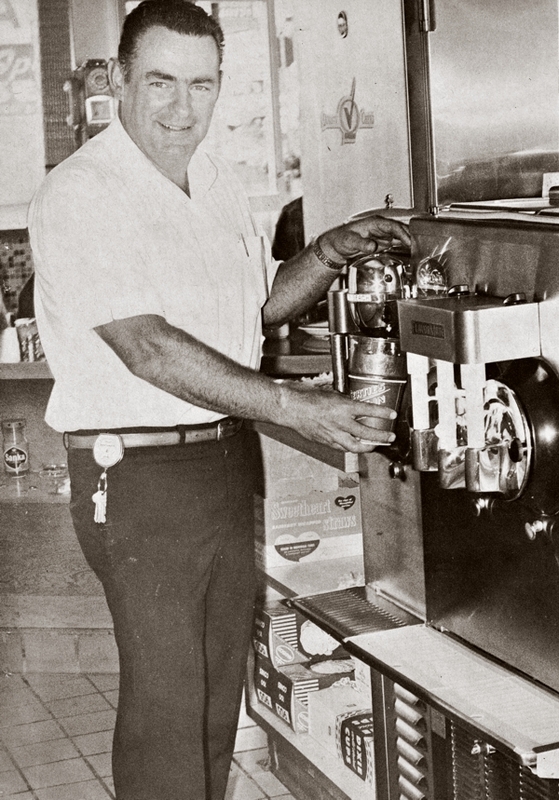 Hahn (1923-1985) was the owner then; he also jointly owned the Sky-Hi Drive-in Theatre east of Helena. 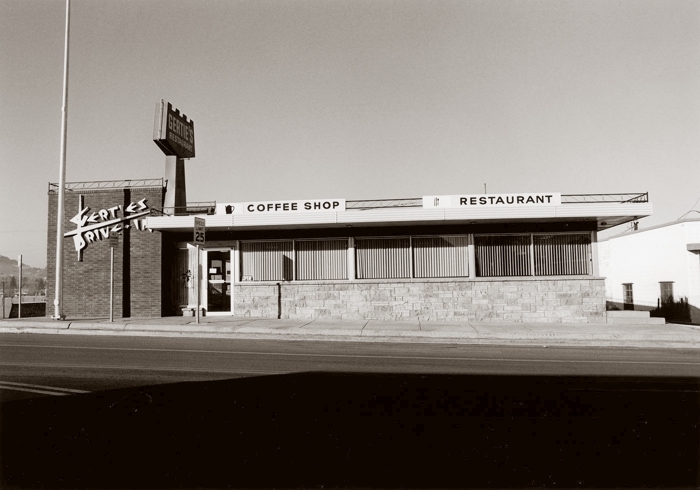 Hahn was a real estate broker who had interests in other enterprises in the Helena and Lincoln areas, including the Hofbrau on Euclid Ave. Hahn sold out to Curtis and Helen Brown in 1972. 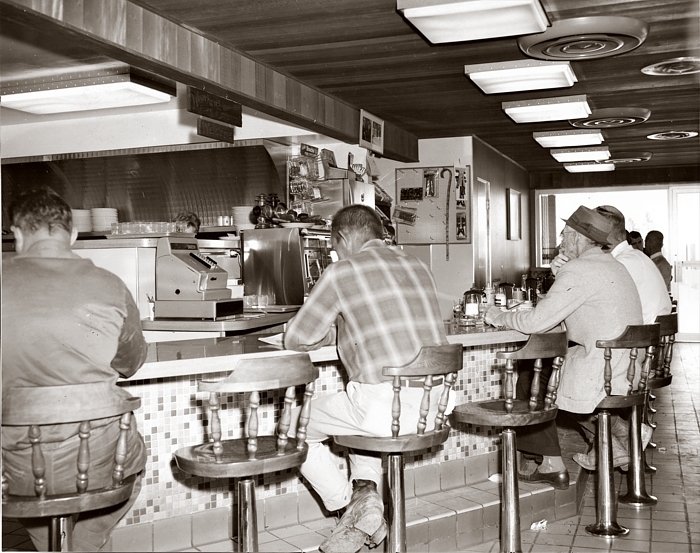 They operated the restaurant until 1991. 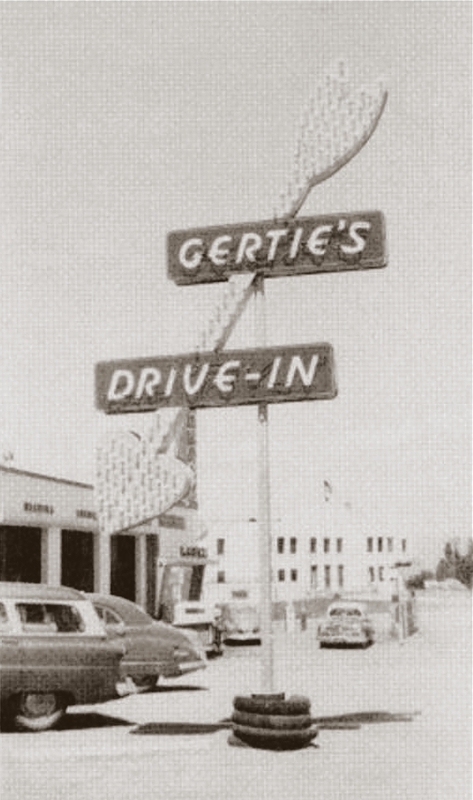 Gertie's was owned and operated by Curtis and Helen Brown from 1972 to 1991. The restaurant was extensively damaged by a grill fire in September of 1991, and closed shortly thereafter. It is still remembered fondly by many Helenans. 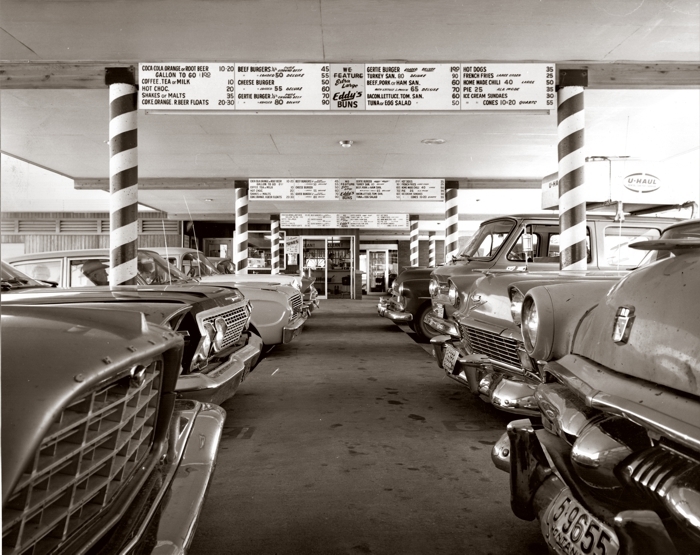 The "Gertie Burger" and Gertie's turkey sandwiches are especially missed.